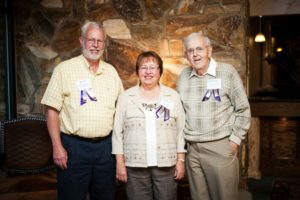 In 1990, Mary Wilfong, Richard Willson, and James Martin started Reach of Washington County after recognizing a gap in our community as well as a significant need to support the impoverished. These humble individuals dedicated their time, talents and treasures starting a 24-hour Crisis Intervention program that still exists today. All three founders still dedicate their time and currently serve on Reach’s Board of Directors. We are so thankful for them as Reach has grown beyond their wildest dreams. Hear from them below.